Now that the school year is over, many people are going on vacation. If you are going on a roadtrip soon, you might want to consider listening to an audiobook. The miles can fly by while you enjoy listening to a fantastic book. And if your family cannot agree on listening to one book, try Playaways. Playaways are MP3 devices that have books loaded on them. All you need to do is plug in your headphones and push play! We even provide the batteries for them. 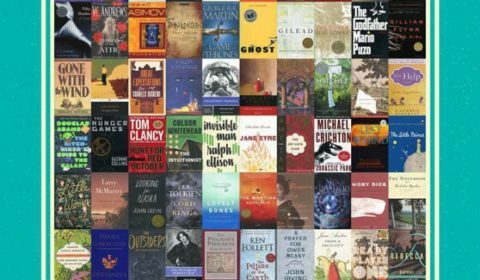 Need some ideas on an audiobook to check out? Below are some suggestions or ask one of our friendly librarians for help. 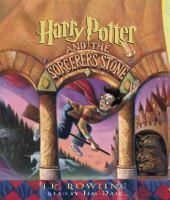 Jim Dale narrates all seven of the Harry Potter books and he is THE BEST voice actor! Somehow, Jim Dale is able to create a different voice for each and every character in the Harry Potter series which makes it so entertaining and easy to listen to in the car (and it is hard to shutoff the car when you reach your destination because the story is so good). The Harry Potter series is full of fantasy, mystery and life lessons. It will please everyone in the family. Originally published in 1955, this classic story has delighted children for decades. During a game of hide and seek, four children go through a wardrobe and find themselves in the magical realm of Narnia. Only the Good King Aslan can defeat the dark magic of the White Witch. An adventure story full of danger and thrills. If you are a parent of young children, there is a good chance that you read Charlie and the Chocolate Factory when you were a child. Introduce your children to Roald Dahl’s factory that is full of whimsy and full of perils to those children that are naughty. Remember the Oompa Loompas? The river of chocolate? And who could forget the flying glass elevator? People of all ages love this story. I love the Percy Jackson books and you will understand why they are so popular. 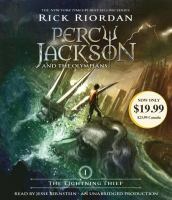 Percy Jackson discovers that he is the son of the Greek god Poseidon, which makes him a demigod. He learns that he is not the only one that has a Greek god or goddess for a parent when he goes to Camp Half-Blood. But a prophecy foretold that a child of Zeus, Poseidon, or Hades would decide the fate of Olympus. And now somehow has stolen Zeus’ lightning bolt and everyone suspects Percy. A great series full of adventure that is interesting for the whole family.